This Navratri, I started thinking about the cultural basis of the holiday we all know and love. As a second-generation diasporic desi, my journey of learning about and coming to terms with my culture has been interesting, to say the least. My family didn’t celebrate Navratri when I was growing up, so the whole holiday, garba and all, was new to me when I came to college. I started with the story of the Lakshman Rekha, in which Lakshman draws a circle (the Lakshman Rekha) around Sita before leaving to search for his brother Ram. If she stayed in the circle, he said, she would be protected. Venturing out of the circle would put her in danger. I’ll give Lakshman the benefit of the doubt in this situation and assume that he had good intentions. Maybe he truly wanted to protect Sita and keep her safe. However, something about this action didn’t sit well with me at all. On the surface, this is a classic example of the “damsel in distress” scenario. 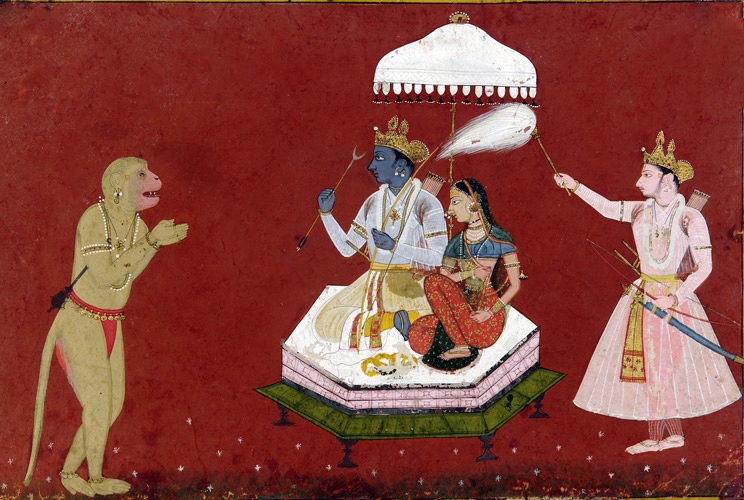 Sita is rendered entirely powerless in this situation, as she goes from the possession of one man (Ram) to the protection of another (Lakshman), finally to the possession of a third (Ravana after he kidnaps her). It’s easy to dismiss the Lakshman Rekha as “just a story,” as something that has no relevance to our daily lives. However, I’ve seen unnerving echoes of this dynamic in my experiences of Indian culture. I can’t count how many (second-generation desi) friends have told me their families didn’t allow them to go out, while their brothers could come and go as they pleased. I’ve observed women in my family being restricted to the home, spending their days cooking, cleaning, and caring for children regardless of their own desires and aspirations. I’ve seen them ask for permission to leave the house, even to run basic errands. I was completely appalled and taken aback; I had no idea the extent to which even basic mobility is restricted for Indian women. As evidenced by my conversations with my diasporic friends, these restrictions are not limited to just India, but they migrate into the diaspora as well. This is extremely dangerous, both for desi women and for the Indian community as a whole. those of us who are most vulnerable. We can support movements like Pinjra Tod that seek to empower and liberate women from their various social confines. Social change also starts from the bottom; we can talk to our friends and family about gendered standards of behavior and oppression. If we are able, we can stand up for other women when we encounter sexism. And most importantly, we can assert ourselves in our own relationships, demanding space and rights for ourselves. This one has been incredibly difficult for me, and has come at a great cost. However, it’s been incredibly empowering to “break the cage,” step out of the Lakshman Rekha, and assert my right to experience the world for myself. 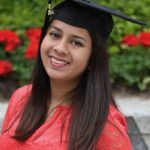 Sangeeta Sarkar is a graduate student in bioengineering at the University of Pennsylvania. She’s interested in feminism, racial justice, diaspora and radical politics. When she’s not in the lab or the library, you can find her exploring her West Philadelphia neighborhood, reading about feminism or snuggling with her cat.